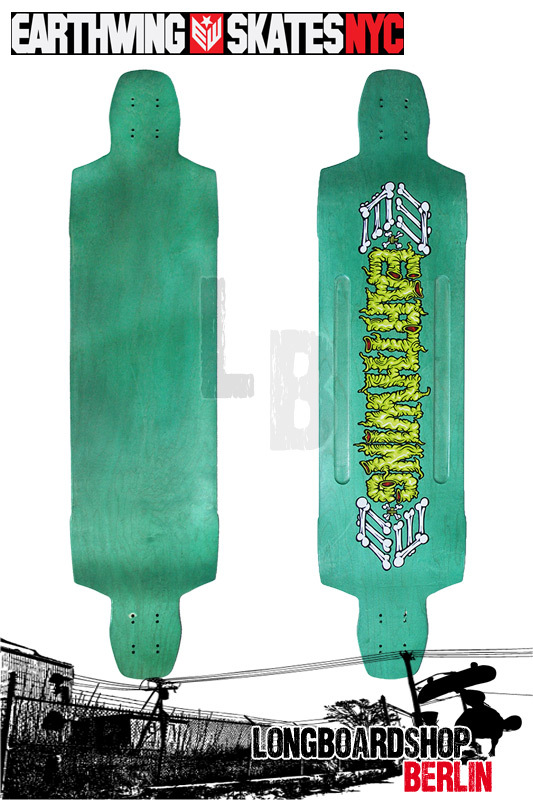 This deck is rad. We have tested several prototypes, and finally we landed what we think is the best DH freestyle deck available. And it's freaking under $100!!! There is a deep elliptical concave that is deeper near the trucks. It's on one plane, no rocker, no camber. It comes in 2 flexes - stiff 8 ply, and stiffer 9 ply, with hand picked Great Lakes region hard rock maple. No, maple is not all the same, and we have the best of the best. We paid close attention to the details. There is maximum possible real estate near the trucks without wheelbite. There are routered channels for a touch of torsional flex without sacrificing the stiffer feel of the deck. This will allow the load to be evenly distributed between all 4 wheels in slides for a more predictable ride. You can also grab rail, even with bulky slide gloves - just look at how big they are! Fun, fun, fun, and that's our whole purpose here at Earthwing.